Understanding the importance of engaging your audience is a must for businesses in today’s competitive market. It’s no longer about which product is better but rather how you provide value to your customers and the entire experience they will have with your brand. 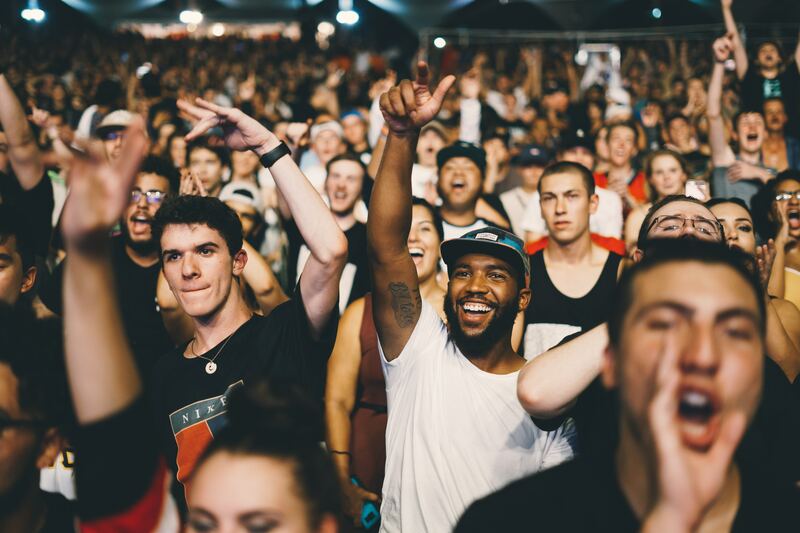 Connecting with the audience means interacting with them constantly, fostering new relationships, nurturing existing ones, and acquiring feedback. These things make up the backbone of building trust and rapport your brand needs. Through the years, marketers make use of various media channels to establish a connection with their audience. Today, about 91% of B2B marketers make use of content and social media though there is still a small percentage that uses traditional media ie. television, radio, and print. The biggest challenge is building readership and turning passers-by into loyal followers and/or customers without losing your brand’s voice. Either way, it all boils down to creating valuable, relatable content. As the cliché goes, content is king. The best way to your customers’ heart is to provide them with content that solves their problems. Create unique, valuable insights that only come from you, not your competitors. People love exclusivity. Give them something they can’t find anywhere else. Before everything else, you need to ask yourself: who are your customers? Creating a buyer persona does not only help you determine which medium you should prioritise but how you are going to convey your message—your brand’s voice. You may have wonderful customers that you interact often and provide valuable feedback about your business. But trying to cater to every demographic can make your message less effective. Appeal to many, speak to one. One-on-one communication is more intimate and engaging than a mega-horn. Find out who your real customers are and focus on growing your conversion. Our experts here at Cirrena listed down the 7 ways you can connect with your audience and a quick guide on how you can effectively use them. If your target demographic leans towards the older generation, the age range of 60+, you can’t ignore the need to use traditional media, especially television. It can get quite expensive especially if you want to get into prime spots but it’s still the perfect medium to get your ads out to a broad audience. Key: The good news is there’s cable now. Maximise your budget by looking for opportunities on specialised channels such as those focused on sports, outdoor activities, or cooking. These may have smaller viewership but it allows marketers to target a niche audience. Video may have killed the radio star but the thing is: radio is portable. You can use radio advertising to connect with people who are always on-the-go. Key: Like with TV advertising, you can spend your budget on stations or shows that cater to your niche. The key is to keep your message short and sweet, as again, your audience here is always on-the-go. Make sure your audience knows what you are offering and how they can get in touch with you. Print media may give you short exposure but this will help you reach a more engaged audience. If a person takes time to sit down, read while sipping a cup of coffee, it already predetermines their level of interest. Also, newspapers and magazines are still often seen as credible sources of information. Key: Find out the top publications that perform well in your industry and best suited for your products. And since most of these publications have an online version, there’s a higher chance for you to reach a broader audience. If you want to know more about highly-creative designs, check out Cirrena’s Design studio. As they say, everyone is on social media—from generation Y to Z. And if they are there, there’s no reason why you shouldn’t be on it too. Social media channels help you reach new and different audiences. Sites like Facebook, Twitter, Linkedin, and Instagram can help your brand build a relationship with fans and followers. Key: Compared to other media channels, social media fosters two-way communication. The trick is to show your brand’s personality. It lets your audience experience your human side. Respond to comments and ask for engagement on things like surveys and competition. A common misconception though is that with social media, you always have to be on top of trends. The key is to create content that your audience will like and they will do the work for you. If your posts strike a chord with your audience, they will share it with their friends and get you an even greater reach. Launching a website is easy but if no one can find it, it’s useless. SEO strategies help improve your website’s ranking on search engines like Google in a suitable way that attracts more visitors to your site over time. Key: The number of people using internet search engines is increasing year on year and is almost unfathomable. Stats reveal that there’s an average of 3.5 billion searches on Google on a daily basis, which equates to 1.2 trillion searches per year worldwide. Also, you can learn how to generate leads through Cirrena’s Digital Marketing services just by giving us a call. Check out this post where we discussed SEO in detail. Online display ads are not limited to search engine results pages. They can appear while you search other sites across the internet but still related to the searcher’s query. Google display network includes news sites, Gmail, YouTube, and blogs. Key: Display ads may include a headline, text, website address, and rich media (video, image, or sound). Create targeted ads based on your buyer persona’s location, demographics, and possible interests. Word-of-mouth is still the most powerful force in the marketing world. Most customers consider this as their deciding factor in availing services or making an investment. Study after study has proven that referral marketing is one of the best forms of marketing when it comes to sales and conversions. Especially if you’re in service industries like real estate, construction, or B2B, you need to invest in referral marketing. Key: Improve your customer experience through a quick feedback survey during the off-boarding process. Not only does this help you with your brand’s reputation, but it also gives an impression that you are serious about improving your services. It can be a short paragraph narrating their experience working with you or a simple star rating on Facebook or Google My Business. Learn more about how to get referrals in this post.